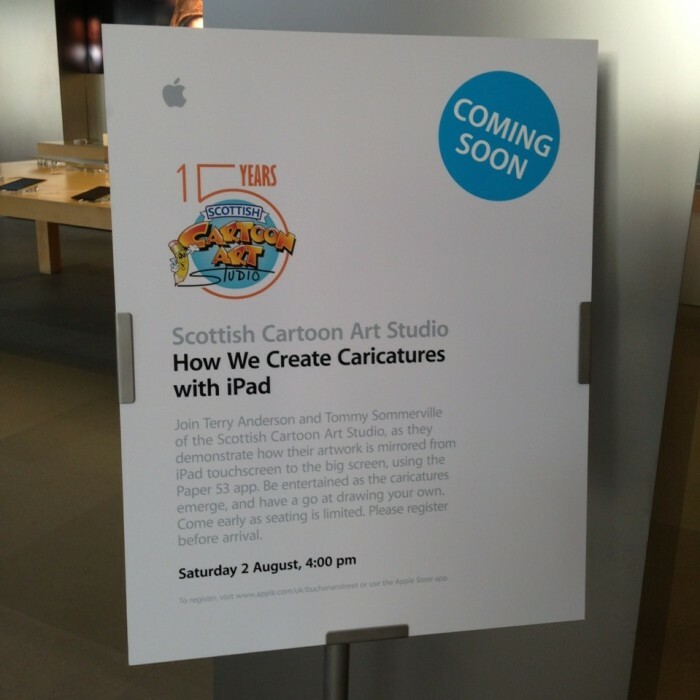 Having recently launched our new service, live digital caricature at events using iPads, we are delighted to announce a demonstration and workshop at the Apple Store Buchanan Street, Glasgow. Terry and Tommy will be on hand at 16.00 on Saturday the 2nd of August. See caricatures emerge on screen as they are drawn using the Paper app and Pencil stylus from FiftyThree and have a go yourself, with hints and tips from the pros. 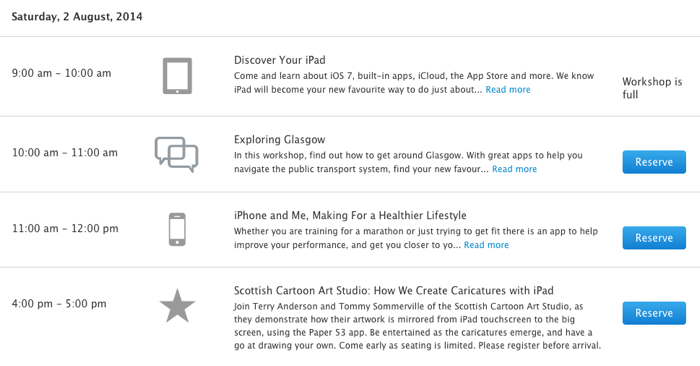 Please note places are free but limited and the only way to book is via Apple’s website or app. UPDATED- the workshop is available for bookings on the store’s webpage now.